The recently announced water and dust resistant Sony Xperia ZR won't be getting the global release many were hoping for. The smartphone won't be hitting the United Kingdom, Germany and France according to new information. The news for the French users is quite certain as it was delivered by Sony France itself. As for the UK we've only heard that the Xperia ZR won't be available from an online retailer, who claims to have spoken to Sony representatives. Sony may have decided to repeat the Xperia ZL launch and push the Xperia ZR into selected markets only. We guess it has something to do with not avoiding additional pressure on its Xperia Z flagship. 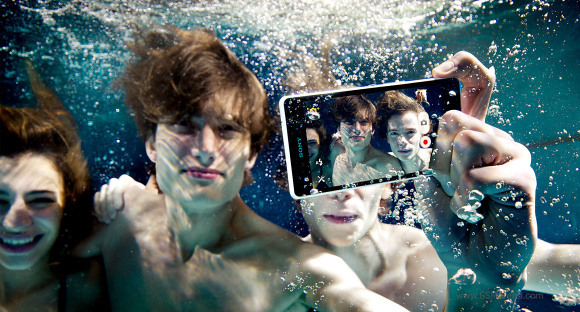 The Sony Xperia ZR was officially unveiled yesterday. It specs similar to its bigger Xperia Z sibling but a smaller 4.55" display of 720p resolution and a thicker 10.5mm profile. Will it be working in Germany if I buy it from anywhere else (Dubai)? or it will be locked? Xperia ZR have launched in Malaysia? ?